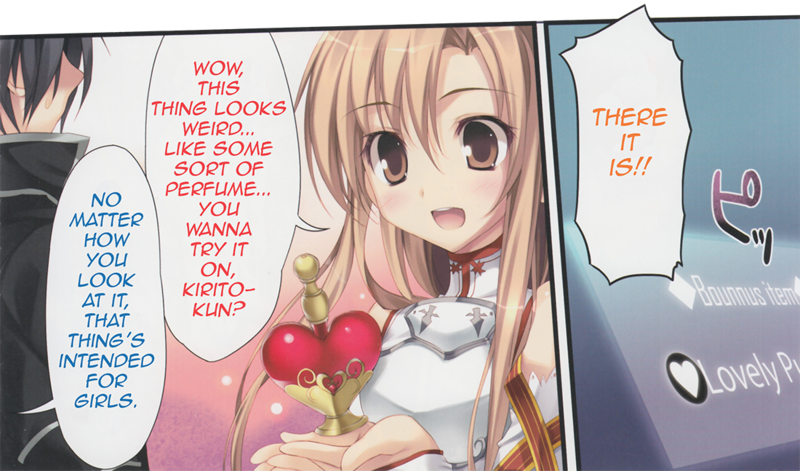 Hey folks, how about some nice doujinshi about SaO? It’s a commission I did quite a while ago, but the commissioner has only recently released it. The work itself is about Kirito and Asuna shortly after they’ve married. They’re out to hunt some precious new “Bounnus item” that’s supposed to drop only for player characters that are married. And what a splendid “Bounnus item” it is indeed! For you see, this “Bounnus item” isn’t some stupid old sword or piece of armor, oh no, it’s actually an accessory in the form of a perfume! And it has… a peculiar side effect, it would seem. Hope you enjoy the release! 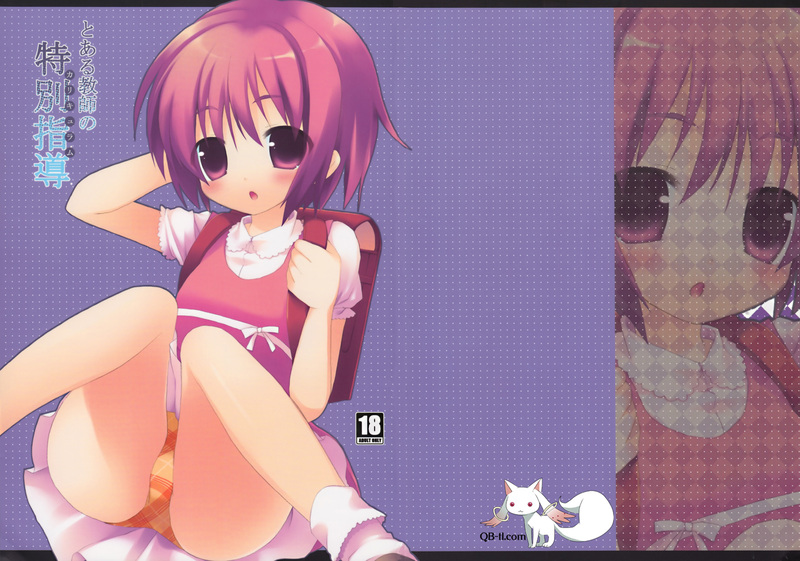 A word of warning: The filesize is fairly large due to the high resolution of the scans. And here we are with our 4th release. This is from the same group that did the Minicube doujinshi. Source: Comiket 75 (Get it here) Unknown scanner. I liked the doujinshi we released yesterday so much I decided it might be a good idea to hunt around for some other stuff that this circle put out; and am I ever glad I did. The doujinshi is mostly vanilla stuff with a bit of exhibitionism on the side, featuring Kamjijou and Komoe from the “To Aru~” series. If you like loli and/or enjoyed this circle’s other work we previously released you owe it to yourself to check this one out as well. And with that I bid you all farewell until our next release.